…you may just want to whack some Strawberry Born Lippy on, they’re on sale at the moment at Php195 but they may only have the old designed ones on sale, same pot different label design from this updated one above (from the regular price of Php250). I’m not 100% sure if it’s an ALL BRANCHES thing with the Born Lippy promo, but for sure at The Body Shop Glorietta 3 the mark down is definitely on your Donkey Kong. I have a more in-depth Body Shop event post coming up so keep hovering and read!! 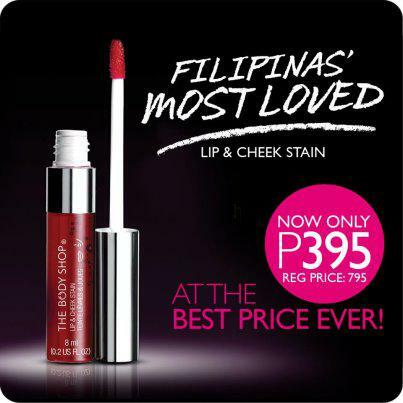 For more information check out and Like The Body Shop Philippines FB Page.